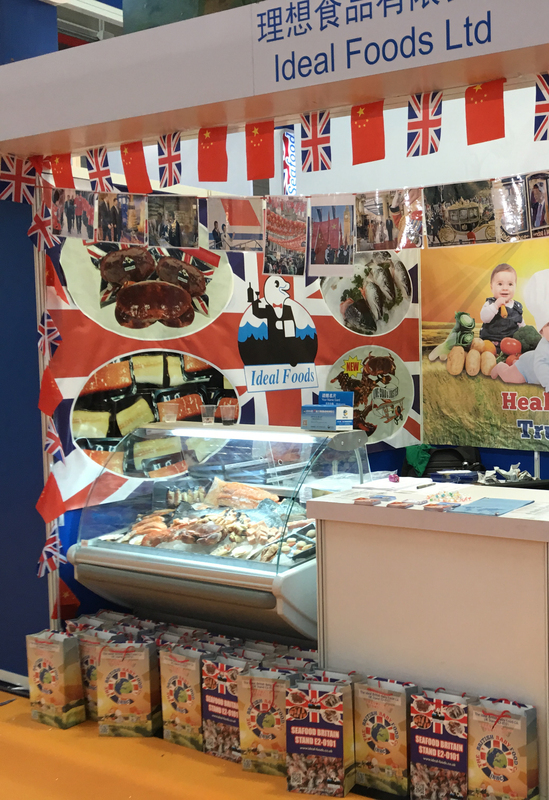 A Cornish food exporter has strengthened its ties in China. Ideal Foods, which has its head office in Liskeard, has been in the food export business for more than 20 years, exporting to countries all around the world. At the core of the business is the international trade of fish and bi-products but in recent years, the company has also expanded into other food markets. Last year it signed a contract with a Chinese e-commerce company for an order worth $3 million, then in July attended a trade show in Shanghai together with its Chinese partner, to promote the products to wholesale and retail, and the first shipment arrived in China last month. MD, Tony Horner, said: “It’s taken a lot of hard work and commitment to get the project to this stage but we are delighted that all our efforts have paid off. Ideal Foods has also been signed up as a trade ambassador by the same Chinese e-commerce company, which is looking to sell British food and drink on its webstore. This partnership has led to the launch of a new export service – ‘Channel to China’. Channel to China aims to work with small to medium, artisan food and drink producers from across the UK to guide them through the complex process of introducing and exporting produce to the Chinese market. Starting locally in Devon and Cornwall, the first companies to sign up to Channel to China have had their products analysed and reviewed by an independent UK taste test panel and product samples are now being sent out to China. “We are very honoured to have been asked to be trade ambassador for our partner,” Horner added.